I don’t normally write about the RX100 series on this site as they are not part of the Alpha family. However, since I own an RX100 IV and this was the camera that launched me head first into the world of Sony Alpha, I’ve decided to put together this short comparison article. I also know that many Alpha Shooters own an RX100 as it’s such a brilliant camera in a tiny little package. The sixth generation RX100 VI features a new 24-200mm F2.8-4.5 zoom lens, 20.1-megapixel Exmor RS stacked CMOS sensor, 315 phase detection points covering approximately 65% of the sensor, and the ability to shoot at 24 fps with autofocus. It also features a touch screen for the first time in the RX series. It will cost $1200 in the US or £1150 in the UK and ships in July. 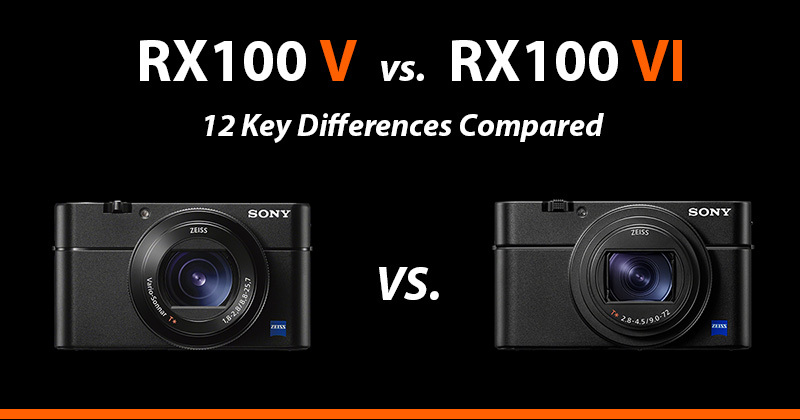 So without further ado, let’s compare the 12 key differences between the Sony RX100 V and the new RX100 VI. If you want the full specs, you can find them here on Sony’s Website. The most significant difference between the sixth generation RX100 VI and its predecessor the RX100 V is the zoom lens. Whereas the RX100 V had a 24-70mm lens with a F1.8-2.8 aperture, the new RX100 VI now features a 24-200mm lens with a F2.8-4.5 aperture, significantly extending the focal distance. However, this extended zoom range does come at a price, since the RX100 VI’s maximum aperture is now F2.8-4.5, compared with the F1.8-2.8 of its predecessor. The RX100 VI maintains an aperture of F4 at 100mm and F4.5 at 200mm, with a maximum aperture of f/12 at 200mm. Clear Image Zoom also lets you further enlarge the centre of the image digitally up to twice as much (400mm equivalent) with almost no image degradation. The lens itself is comprised of 15 elements in 12 groups, featuring two ED (extra-low dispersion) aspherical glass elements and eight aspherical lens elements including four AA (advanced aspherical) lenses. Sony claims that this results in outstanding sharpness from corner-to-corner at all focal lengths. The RX100 VI is the first RX100 series to offer a touch-sensitive LCD, enabling both touch to focus and touch shutter. With Touch Focus you can simply touch the LCD at the point of the image you want to focus on, it works for both still shots and movies. When using the EVF, you can also use Touch Pad AF to shift focus smoothly and easily, simply by sliding your finger across the LCD screen. The new touch screen is particularly important for the RX100 series, which has always had limited controls and rather cumbersome methods for selecting your AF point. The tilt angle of the screen has also been improved upon. Both LCD’s can be rotated up 180° but only the RX100 VI can be tilted down 90° which compares with 45°on its predecessor. The RX100 VI’s OLED pop-up EVF is similar to previous models, but now when you pop it up, the finder optics no longer need to be extended manually for use. This is definitely very welcome as it did frustrate me a little on my IV. 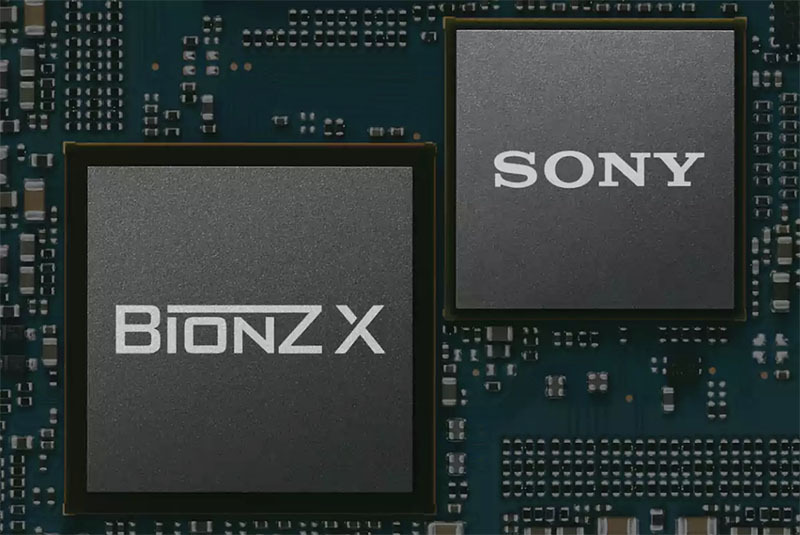 The RX100 VI gets an upgraded BIONZ X™ image processor and Front-end LSI. This has resulted in several improvements, including a claimed increase in the autofocus speed of 0.03 seconds, and superior Eye AF tracking that Sony claims to be 2x the performance compared to the RX100 V.
The RX100 VI also offers a claimed 4EV of optical image stabilization to help capture high-quality images even at long range and in low light, with reliably steady handheld shooting. Both cameras share the same hybrid autofocus system with 25 contrast and 315 focal-plane phase-detection AF points that cover approximately 65% of the image area, helping you to capture small or fast-moving subjects. As also mentioned above, the RX100 VI gets an improved autofocus speed of 0.03 seconds, versus 0.5s on its predecessor. It is also the first RX100 camera to receive Sony’s High-density AF Tracking Technology, densely concentrating AF points around the subject to significantly boost tracking performance of moving subjects. This tracking technology has trickled down from Alpha cameras like the Sony a6300 and a6500. Although continuous stills shooting remains unchanged at 24fps, the buffer has been upgraded allowing you to shoot 233 images before the camera starts buffering. This compares with 150 shots for the RX100 V.
RX100 VI does offer some very impressive video specifications as we have come to expect from the RX100 series. Resolution remains unchanged with the ability to capture 4K video at up to 30p, and at a maximum bitrate of 100 Mbps. 4K video is oversampled from 5K. HD 1080p footage is also possible at up to 120fps, as well as high frame rate modes with up to 960 fps capture. As well as the S-Log2 gamma that can be found on the RX100 V, the new mark VI also gets S-Log3 and a new HLG (Hybrid Log-Gamma) profile for instant HDR workflow. Movies played on an HDR (HLG) compatible TV need no colour grading to appear true to life, with no blocked shadows or blown highlights. 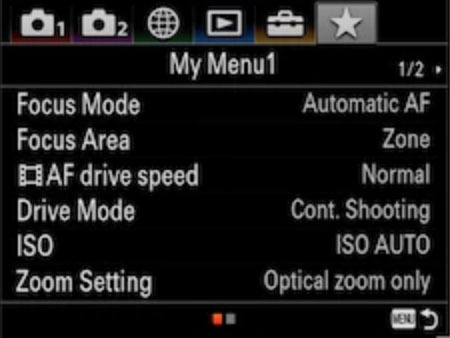 The RX100 VI gets a new menu system which includes the My Menu page that can be found in the newest Alpha cameras like the a7 III and a7R III. This allows you to register up to 30 functions for instant recall and customize the buttons, making camera operation faster and less cumbersome, this is most welcome for a camera that has so few physical controls. Unlike the previous Mark V, the VI also gets image ratings and protection. You can assign from 1 to 5 stars to images, these are retained when images are imported into PlayMemories Home or the new Sony imaging software suite running on a PC, these functions can also be assigned to a custom button. Sony have decided to remove the built-in ND filter from the RX100 VI that was included with the RX100 V. This may not matter to some, but for videographers this might be more of a deal breaker unless you are happy to go without or use external filters. They have also decided to remove the microphone socket from the RX100 VI. So if this is something that you have made use of with previous models, you will now need to use an external recording solution. There are very little changes to the camera body itself. 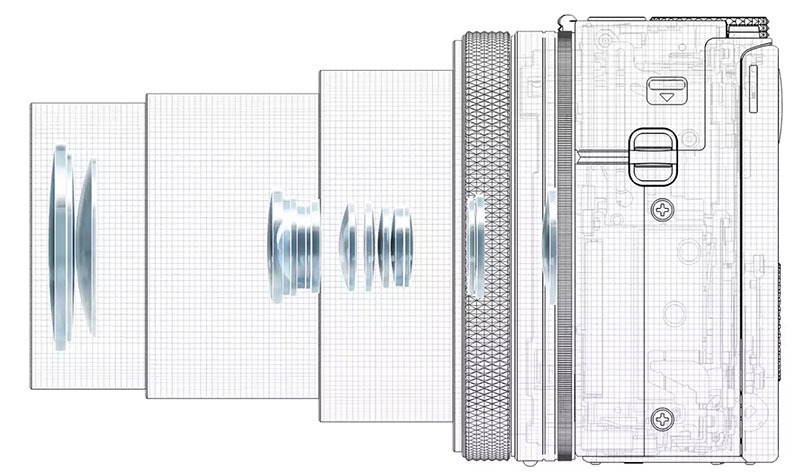 The dimensions would be identical if it weren’t for the RX100 VI gaining 0.8mm in depth and just 2g in weight. The zoom lever has been redesigned for maximum operability of the zoom lens, which is now controlled in two steps by the inclination of the zoom lever. The new VI also records location information via bluetooth when the camera is paired with the PlayMemories Mobile™ app on a compatible mobile device. Unfortunately the RX100 VI follows the recent Sony trend of removing compatibility with the PlayMemories App Store. So if you enjoy making time-lapses, then you may want to think twice before upgrading to the VI. The new RX100 VI continues to use the tiny NP-BX1 battery, but judging by the official specs, the new model can record 240 still images with the LCD or 220 with the EVF. 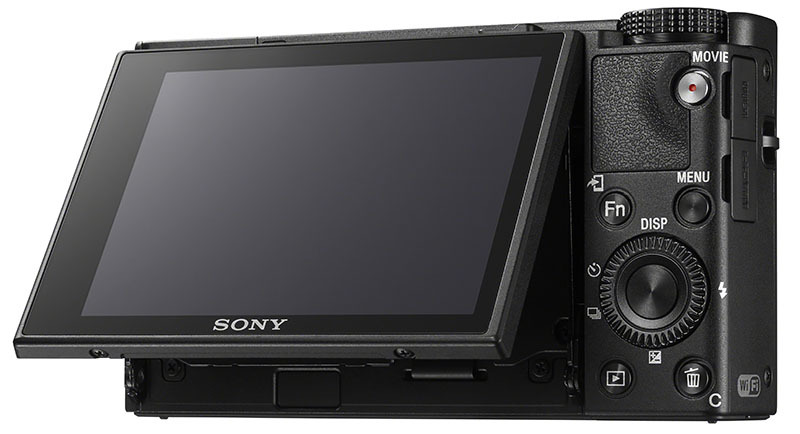 The RX100 V could record 220 still images (LCD) and 210 (EVF). This isn’t really a huge improvement, and real-life usage can typical vary considerably. However, it looks like Sony have added a new Auto Monitor OFF setting that allows you to turn off the LCD to save battery. If you set this to two seconds then you can now squeeze 310 images out of the new camera. The recommended retail price of the new RX100 VI is a whopping $1200 in the US or £1150 in the UK. This is a day one price increase of $200 over the Mark V which launched at $999. Does the extended focal length really justify such a large increase in price? Well that’s for you to decide, but personally I don’t think that it does. The RX100 VI is certainly jam packed with technology, and the now much longer focal length will certainly make this camera a very interesting proposition for those who have always craved a little more length. But if you’ve always been happy with a maximum focal length of 70mm, and preferred the larger aperture of f/1.8, then it’s unlikely that this camera will appeal to you. If you don’t need the extra reach, then now is a good time to pick up a deal on the RX100 V or even earlier versions like the IV. 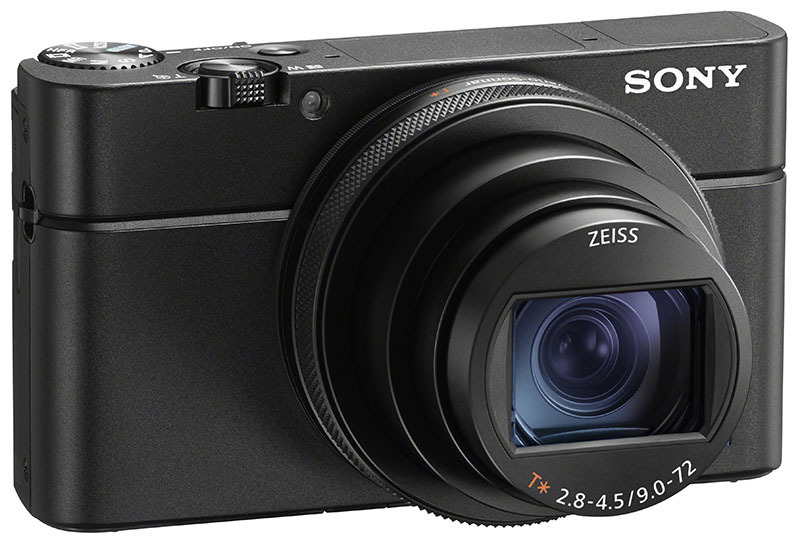 You can already pre-order the RX100 VI in the UK from Wex. In the US pre-orders start at 11am ET, Thu Jun 7. You may also want to give your local camera store a call.